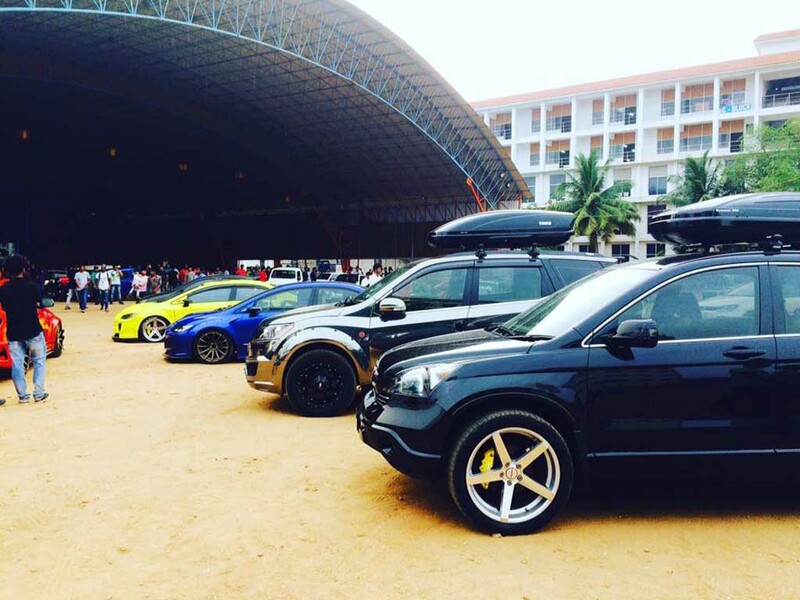 When it comes to car customisation, enthusiasts mostly love to modify their SUVs and crossovers into more aggressive, more muscular machines than the standard ones. Mahindra’s flagship SUV XUV500 being one of the popular SUVs in the country is not different from that. 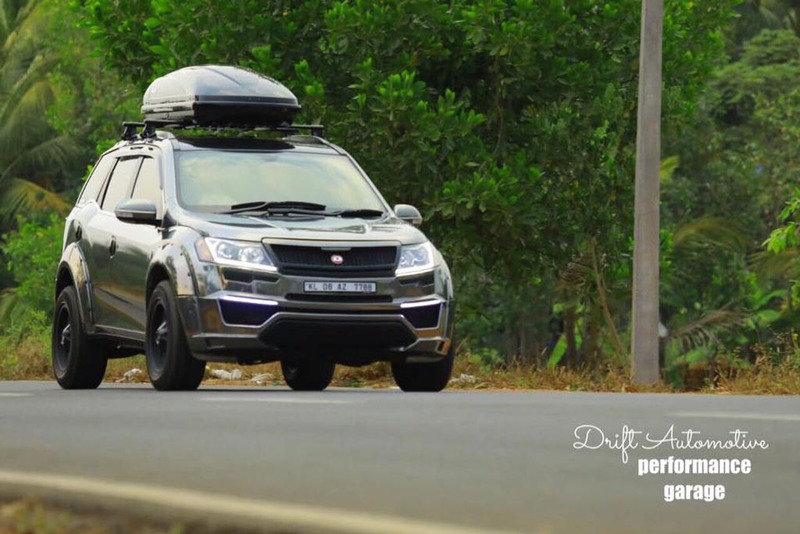 Here we have a XUV500 customised by Kerala-based Motormind Design and Drift automotive. 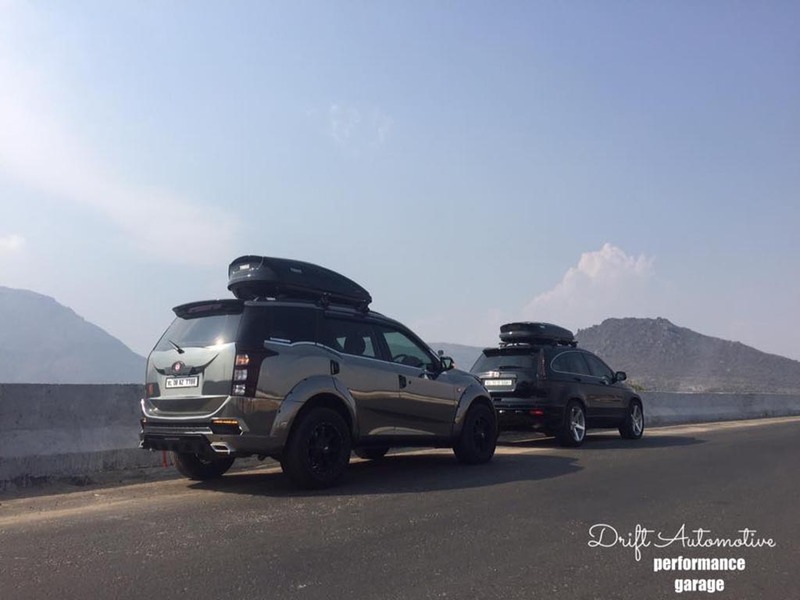 The modified Mahindra XUV500 looks way much different compared to the regular model. The Chrome Black shade applied to the SUV makes it very much appealing alongside all the visual upgrades. The front fascia appears very much different than the stock model. A custom Black front grille minus all the chrome elements, custom projector headlamps with new LED daytime running lights enhance the appeal further. The front bumper too gets a revised appearance, while at the side profile, the car receives minor update. It gets new black alloy wheels, while the sleek line remains unchanged. The flared wheelarches give the car a very masculine and wider look. However, the large roof box for additional storage adds zing to the vehicle and makes the SUV stand out. 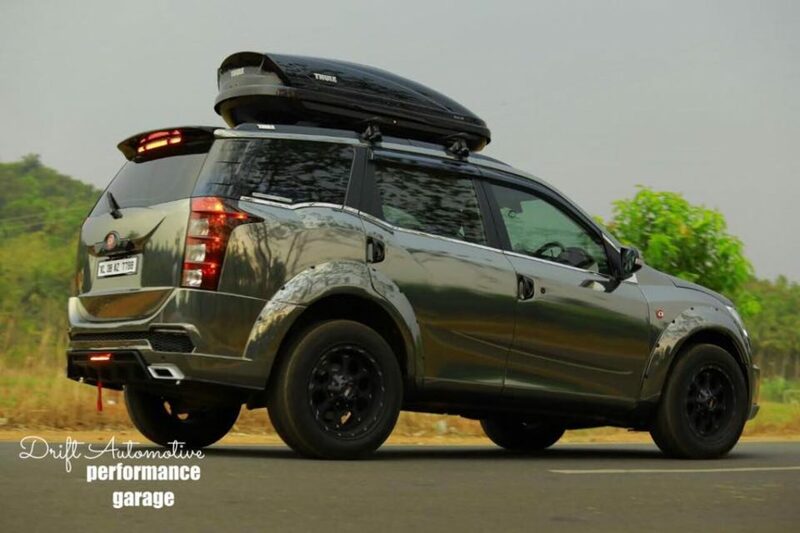 The rear fascia of the customised XUV500 receives a sharp roof spoiler with stop lamp and a new revised rear bumper too, while the taillights remain same. It is not clear what changes have been made inside the cabin, but expect a couple of visual upgrades there too. Also it is not clear, if the customisation shop has made any mechanical change at all. 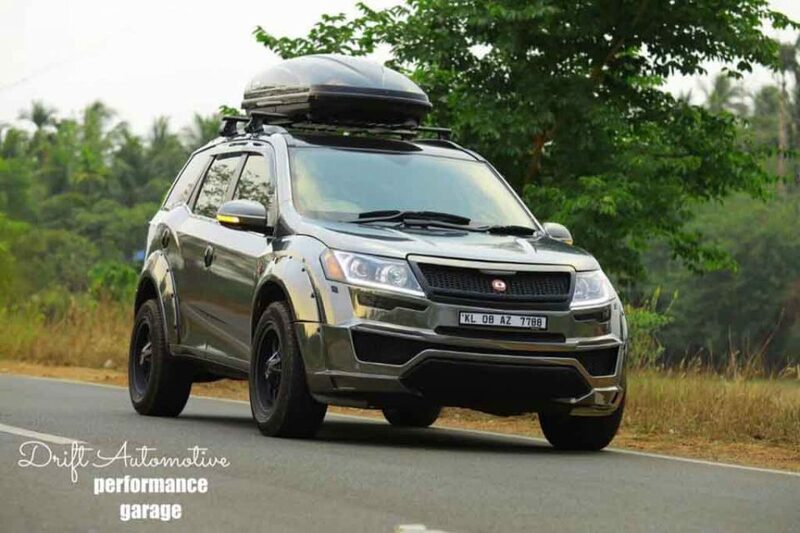 The Mahindra XUV 500 is powered by a 2.2-litre mHawk diesel engine mated to a 6-speed manual gearbox, and there is a 6-speed automatic gearbox on offer as well. 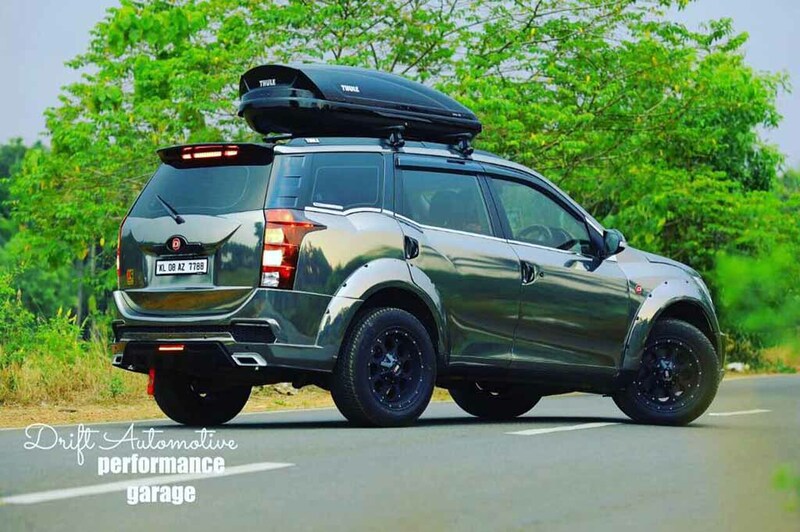 The diesel engine under the hood of the Mahindra XUV500 is capable of churning out 138 bhp of peak power and 330 Nm of peak torque. Expect the figures to be intact in the customised Mahindra XUV500. Overall, the modified SUV appears pretty attractive from every angle.